Gas Auditor – CEMView DAHS by Nexus Solutions Inc. 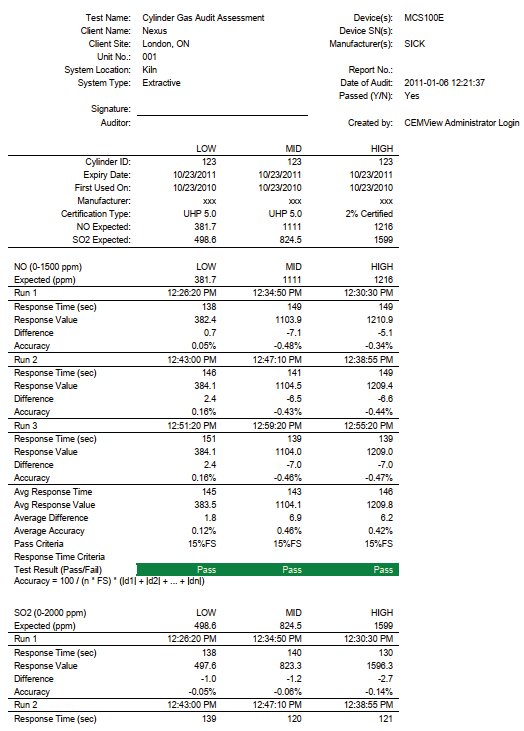 The application is designed to work in parallel with the CEMView Data Acquisition & Reporting Software or as a stand-alone application with direct connectivity to an instrument with an appropriate instrument OPC server. With the CEMView Gas Auditor, various cylinder gas checks can be pre-programmed and easily run, on demand. Automatic and / or manual control sequences are easily developed with the integrated Windows Scripting Languages (VB Script and JScript). 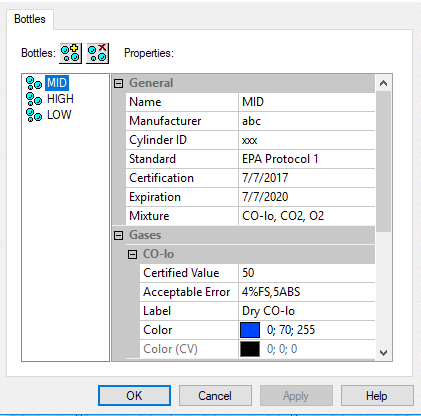 • CEMView Gas Auditor saves on your bottled gases by automatically proceeding to the next step (averaging) as soon as the reading is stabilized and near expected value is achieved. • The potential for human errors are significantly reduced by eliminating the possibility of skipping a step, plumbing the wrong bottle, not applying each gas long enough or calculating results incorrectly, etc. 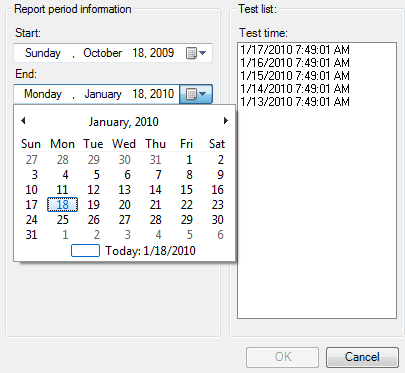 • Tests will automatically abort should response times, near expected values, or stability criteria not be met. This saves running an entire test and hand calculations to determine results. • No need for personnel to change bottles. • No need to manually calculate response times. • Technician can walk away after initiating a test. • Technician can watch live trend of a test in progress. • Message box displays current step in progress. • The expected values will change on the chart with each bottle. • CGA/Linearity report is automatic. No need to manually enter data into a custom spreadsheet. • The results of each CGA/Linearity test are permanently stored for easy retrieval at a later date. • Typically 1-2 hours of work verses 4-8 hours of work for each CGA/Linearity test. • CEMView Gas Auditor allows you to run a CGA/Linearity test on each source simultaneously saving a significant amount of time on multi-source systems (when each source has its own data buffer). • New plant personnel can easily perform the CGA/Linearity testing since the details of sequencing the valves, retrieving the data and calculating results are automatically handled by CEMView Gas Auditor. • Saves thousands of dollars every quarter outsourcing linearity tests. For example, the following is done to configure a Cylinder Gas Audit test in Gas Auditor. Specify the gases to be audited. Pass / Fail based on the results of the test. 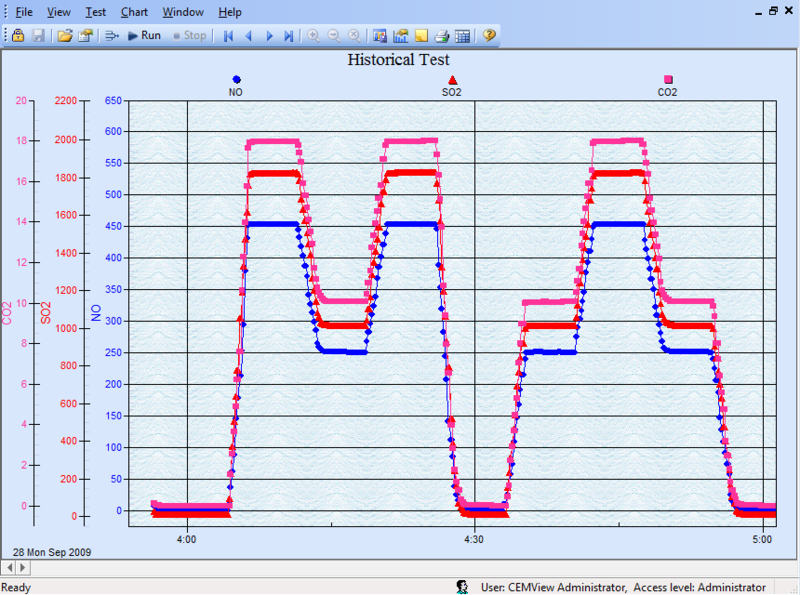 A Cylinder Gas Audit Data Assessment Report is then automatically generated for the test by the system. The technician can easily follow the progress of a text through a live trend screen. The trend screen will show a horizontal line with the current expected value for each bottle as the test runs. 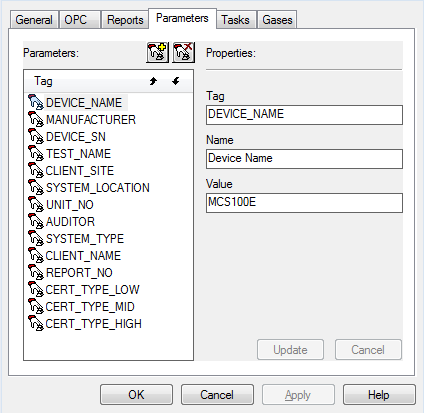 A dialog box consistently informs the technician of the current step of the test. These steps include items such as “Low valve on”, “Response time Acquired”, “Near Expected Value achieved”, etc. Simple drop down menus enable the user to easily set specific tests parameters. These values are automatically reflected on associated reports. Any combination of gases are added to the test through a simple dialog box. Each calibration test bottle is parameterized. Users can change error limits, certification dates, manufacturer, etc. prior to running individual tests. The reporting engine automates the painstaking process of manually entering real-time data into a spreadsheet. The reports can be saved in the following formats: .xls, .pdf, .csv, .xml or html. All test results are saved and are available for later retrieval. Reports may be generated directly from the gas auditor application. The powerful Nexus Calculation Processor (NCP) integrated into the Gas Auditor application ensures unparalleled control capability of the gas valve solenoids and other analog and discrete I/O. With the Gas Auditor application, the process to capture any data to the database is very simple to configure and control. Charts and reports are easily created and viewed, and the information is readily available in Excel spreadsheet format for effortless inclusion with the final reports and test results submitted to the regulatory authority.